Certain pundits have described house price falls in Sydney and Melbourne as a catastrophic crash that will take years to recover from. But one of Australia's most respected economists has put the apparent market chaos into clear perspective. 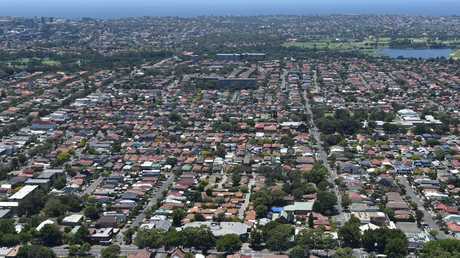 In fact, Shane Oliver, chief economist and head of investment strategy and economics at AMP Capital, said the past 18 months of steep declines in the New South Wales and Victorian capitals "aren't the end of the world". He points to a graph to illustrate his point, which plots more than 20 years of property price movements in Sydney and Melbourne, as well as an average for the other capital cities. 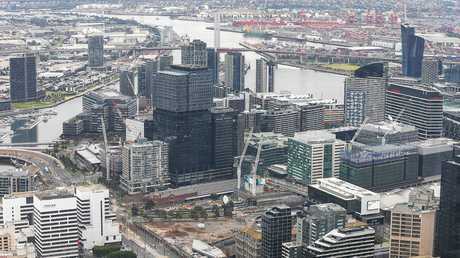 "It shows the huge boom in property prices we saw in Sydney and Melbourne, with several years of very strong gains staring around 2012," Dr Oliver said. 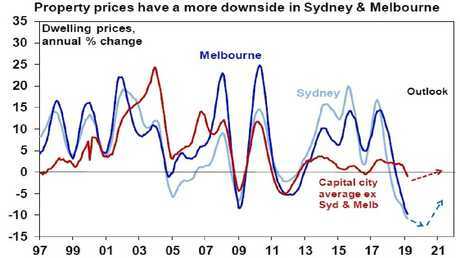 "It shows the recent slump in Sydney with prices coming off in July of 2017, and also in Melbourne, where prices peaked in November 2017." Property prices over the past 20 years with Shane Oliver's forecasts into 2021. 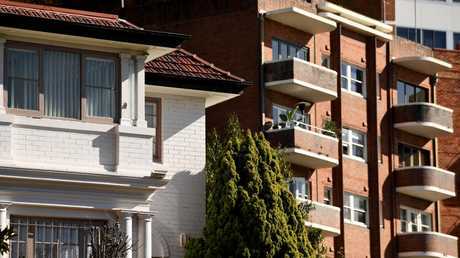 House prices in Sydney exploded between the start of the boom and its end, rising by a whopping 72 per cent. In Melbourne, property values rose by a staggering 56 per cent over the course of its five-year boom. "So far, Melbourne is down about 10 per cent and Sydney is down about 14 per cent," Dr Oliver said. "So, to put it into perspective, prices are really just back at 2015 levels and on track to go back to 2014 levels. "We had many years of very strong gains. We're giving back some of that." And Dr Oliver said the graph also shows his forecast for the next few years - including when the market recovery will begin. After years of speculation about how hot real estate could get in Sydney and Melbourne, prices began to cool substantially from the middle of 2017 onwards. Dr Oliver said this occurred for a number of reasons, combining at a similar time to create a perfect storm. A surge in new dwelling supply took place in both cities, flooding the market with apartments and houses, giving buyers more choice. Foreign investors also fled, with activity plummeting by two-thirds from 2016 onwards, due in large part to a government crackdown. A significant tightening in lending conditions - banks made it more difficult to obtain a mortgage after pressure from regulators and in anticipation of the damaging royal commission - also impacted Sydney and Melbourne markets. "And they also had much bigger speculative-driven investor activity," Dr Oliver said. As the chart above shows, Dr Oliver said the other capital cities - as a cumulative average - had been "pretty boring in the grand scheme of things". "The chart disguises a range of outcomes obviously though," he added. 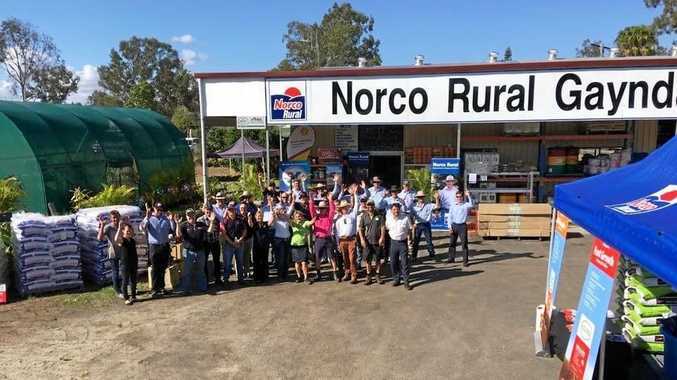 "Prices have come down quite dramatically in Perth and Darwin, gone up in Hobart, and not really done a lot in Adelaide, Brisbane and Canberra. "Sydney and Melbourne had a massive boom and now they're going through a bust. The other capital cities aren't as vulnerable simply because they didn't have a boom. They're affected a little by the tightening in credit conditions and the decline in foreign demand." But Dr Oliver is hesitant to describe conditions in Sydney and Melbourne as a crash, so much as a "subsidence after a long run-up". "A property crash is what you saw during the Global Financial Crisis in the US and parts of Europe was a lot more painful," he said. "People were losing their jobs and were unable to service their loans en masse, put their properties on the market and pushed prices down and kept the spiral going. "In Australia, what we're seeing - so far in any case - is a subsidence after a long run-up. We're not seeing evidence of a panic in the market. "Some people are panicking, sure. I call it FONGO - fear of not getting out. Some investors might've been hopeful of getting a 10 per cent return out of property, now all they're getting is a rental yield of 2 per cent after costs, so they might want to get out." The general consensus among economists and analysts is that the price declines in Sydney and Melbourne aren't over yet. Dr Oliver agrees and expects a total 25 per cent reduction "from top to bottom" in both cities. "So far, Melbourne is down about 10 per cent and Sydney is down about 14 per cent, so we're almost halfway through in Melbourne and past halfway in Sydney," he said. He projects falls to continue this year and into 2020 before a recovery begins, but he isn't convinced that another boom will begin. Leading economist Shane Oliver from AMP expects the recovery phase from 2020 onwards to be ‘measured’ rather than the start of another boom. Not straight away, in any case. 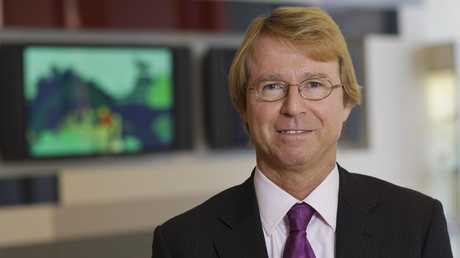 "Hopefully all of this takes us back to what's a more affordable market rather than a speculative one," Dr Oliver said. "My judgment is that it will be a more measured market, the recovery stage. "Household debt in Australia these days is a lot higher than it was when the last surge in prices got underway. And so, people might not want to take on the debt they did. "Secondly, lending standards are a lot tighter and tougher. The way (regulators) see things¸ particularly after the royal commission, it's likely to remain that way for some time to come. "And hopefully, the pick-up in supply we've seen, particularly from units, helps to head-off a return to a more speculative market." But the only major factor that could derail that "more constrained period of recovery" is developer confidence. The downturn in Sydney and Melbourne, coupled with uncertainty over Labor's proposed changes to capital gains tax and negative gearing, and the slump in foreign investor demand, could see residential construction projects shelved. "I do wonder if this one is being so painfully felt by developers that they're stopping projects and we'll end up with another shortage and be back where we were at the start of the boom," Dr Oliver said.